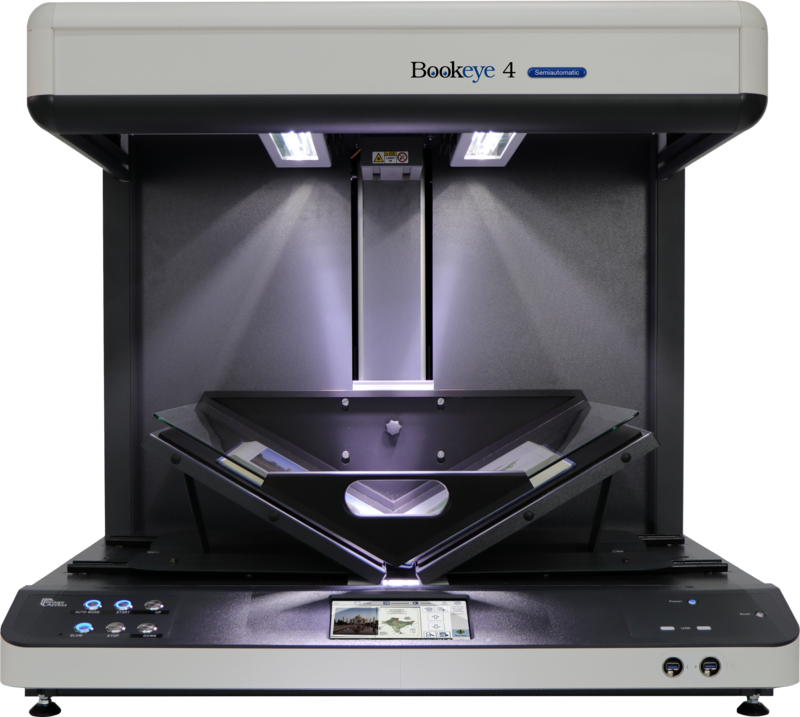 For productivity and quality in demanding digitization projects, the Bookeye® 4 V2 Semiautomatic overhead book scanner captures books, magazines, posters, folders or bound documents at high speeds and in 600 dpi resolution, even in 24/7 operation. 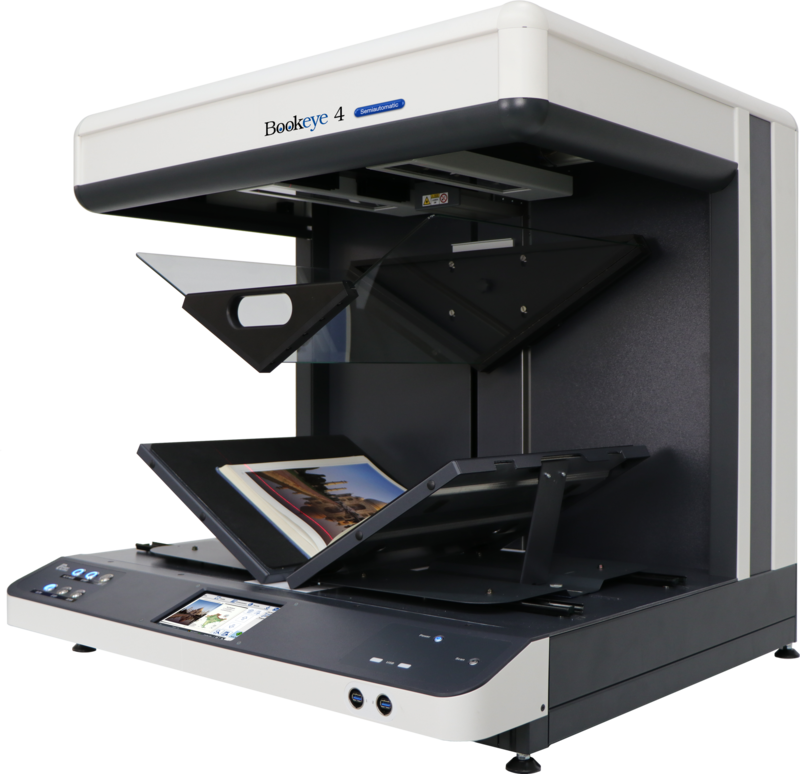 This summer, the Bookeye® 4 V2 series of overhead book scanners was expanded and now features the Bookeye® 4 V2 Semiautomatic, with a motorized glass plate and 600 dpi resolution. In addition to the already well-known features of Image Access book scanners, the V-shaped glass plate can be moved up and down for exact positioning on the book fold. If required, the V-shaped glass plate can be removed without requiring any tools or special technical training. Templates up to DIN A2 +, such as books, magazines, posters, folders or bound documents of all kinds can be digitized by the Bookeye® 4 V2 Semiautomatic with a speed of up to 0.9 seconds at a resolution of 150 dpi. The maximum resolution is 600 dpi and even then, s scan takes only 3 seconds. 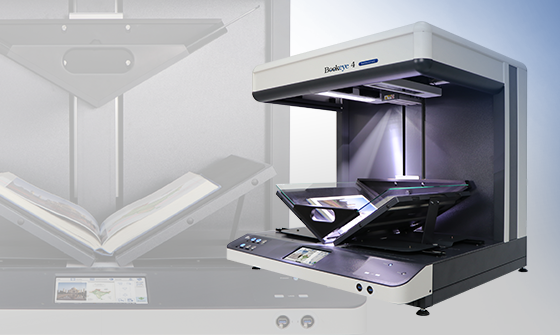 The unique book cradle solution allows scanning in both 120 degree V-mode and in flat mode. The balanced design allows effortless scanning without any physical effort. If you would like more information or a offer for a Bookeye® 4 V2 Semiautomatic, please contact us here. We look forward to hearing from you.